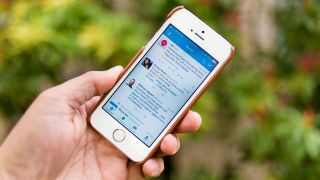 Twitter announced today that it has come to an agreement to revive Politwoops, the public archive of tweets deleted by politicians. The announcement came after a decision earlier this summer to shut down Politwoops over concerns around Twitter's API Terms of Service. The decision was met with criticism from the Sunlight Foundation and The Open State Foundation, the nonprofit organizations behind Politwoops. "Politwoops is an important tool for holding our public officials, including candidates, accountable for the statements they make," said Sunlight Foundation communications director Jenn Topper. "We're glad that we've been able to reach an agreement with Twitter to bring it back online both in the US and internationally." Politwoops chronicles deleted tweets swept under the rug by public officials, primarily developed to boost transparency between political figures and the public. According to Topper, Politwoops will resume operation over course of the coming weeks. Twitter CEO Jack Dorsey believed the move to exclude Politwoops was a misstep in hindsight, with The Verge reporting his apology and refocused efforts for the social media hub. "We have a responsibility to continue to empower organizations that bring more transparency to public dialogue, such as Politwoops," said Dorsey at the company's Flight conference in October. "We need to make sure we are serving all these organizations and developers in the best way, because that is what will make Twitter great." We came up with five other ways Twitter could improve in 2016.